As you may have seen from social media posts I am blessed to have many local areas to run. 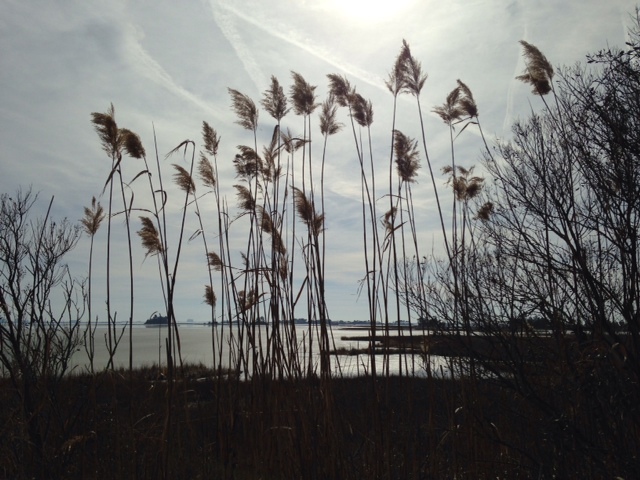 My #1 favorite running spot is the Bayside where there are miles and miles of sidewalks and beautiful things to look at, however it is wide open and there is no where to hide when it is windy. I also enjoy running around my local community which is nice because I do not have to drive anywhere, I can just step outside and start running through my town- but again there is no where to hide from the wind and sometimes the streets can create that wind tunnel effect and you feel as if you are going no where.. you know what I am talking about!!!! 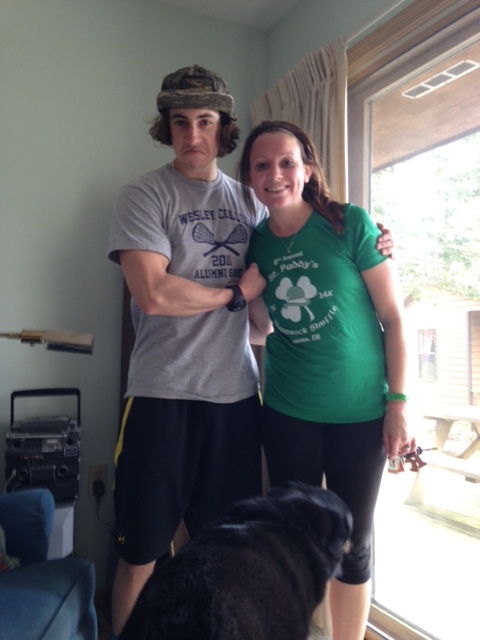 This past weekend my brother and I wanted to go for a run but the wind was whipping to say the least. The weather channel was reporting gusts of 20+ so I knew my usual running spots would not be very enjoyable, especially for a new runner like my brother. 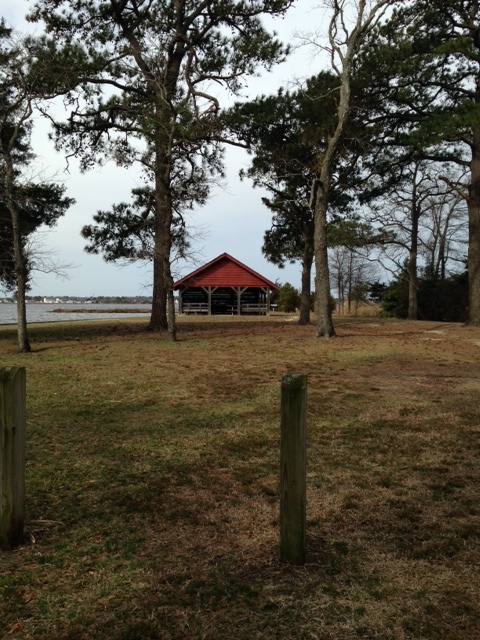 We set out to one of my favorite places to go as a child and it proved to be the perfect spot for our 5 mile run! 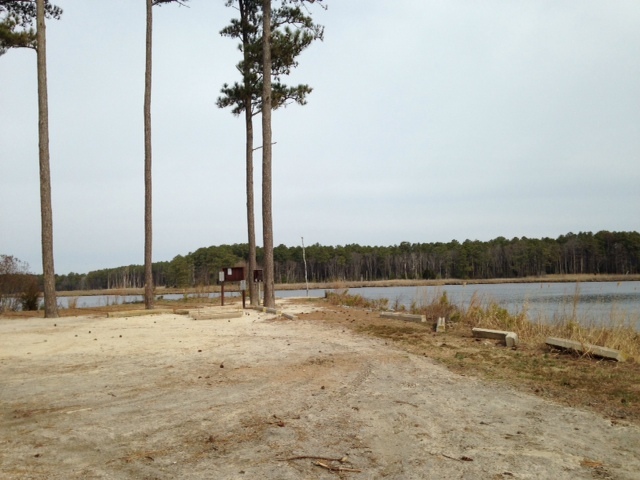 The Assawoman Wildlife Refuge is located just miles from the beach in Fenwick Island and is a little hidden gem to anyone that loves all thigns nature. It is designated with different “landings” that are all located on the water. It truly is a peaceful and beautiful refuge away from the busy hustle and bustle that the surronding beach towns offer. 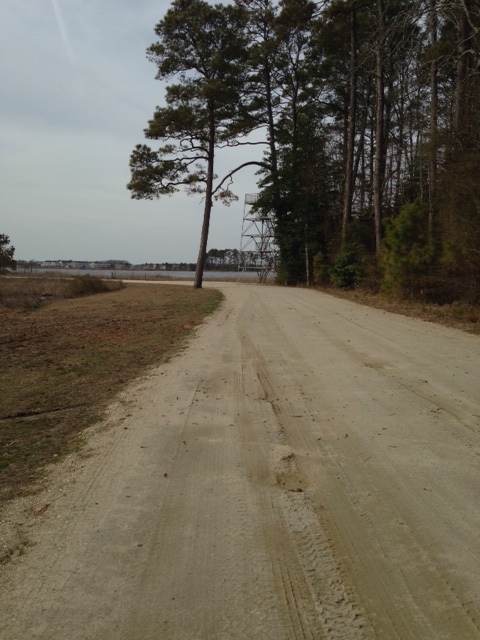 As a kid I can remember countless days riding my bike there and spending afternoons with my dad crabbing off the docks that are located at the landings. I was hoping to get at least 5 miles in for the day and that is exactly what we ended up running. 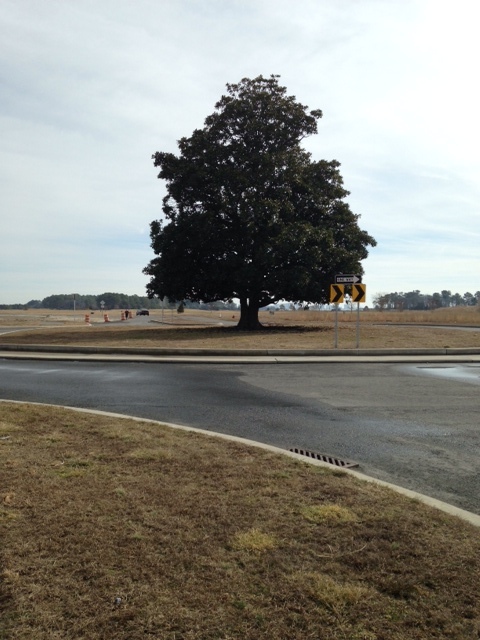 We parked our car at the main entrance of the park and headed straight back to Mulberry Landing. The trail itslf is typically packed and hard dirt. In the past I have run there and it has been somewhat loose but because cars drive over it- it stays pretty firm, which is nice! 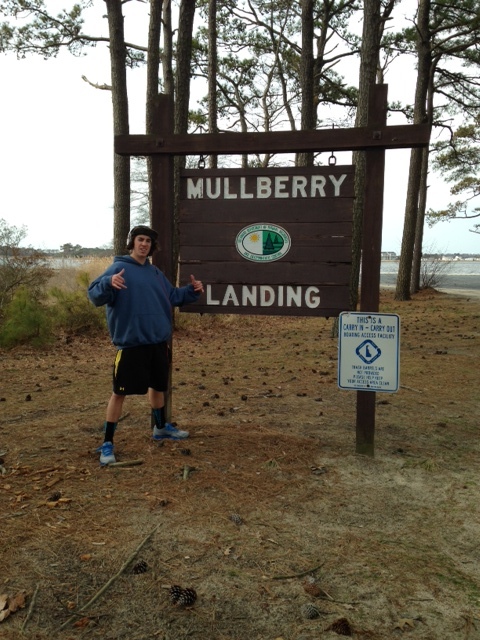 After we did our turn around at Mullberry landing we headed to the next landing which also juts out to another part of the Assawoman Bay. It truly is beautiful! Along the trail they do have a look out tower. 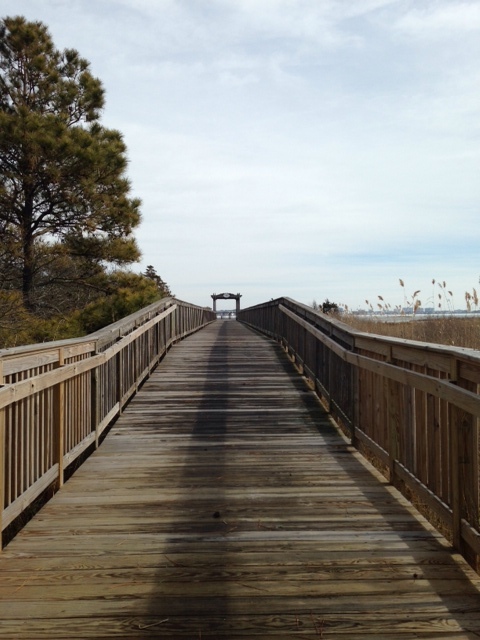 If you want to add an extra little kick into your workout you can hit the steps and maybe even check out the view at the top of the observation tower! 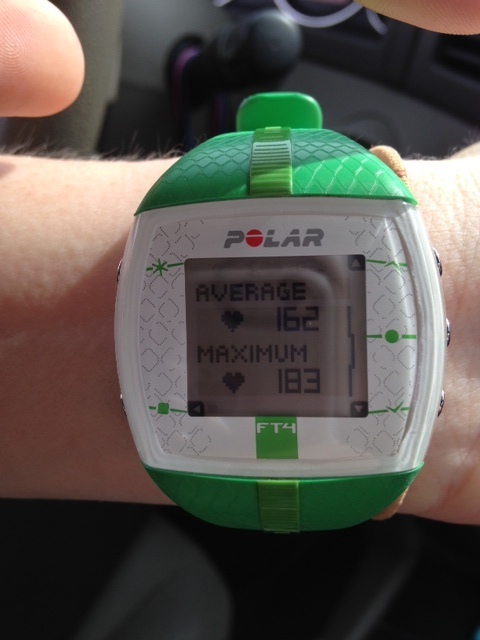 In the picture below, the tower does not look that big but it defintely will get that heart rate up! Once we reached our next landing we ran down a narrow trail with water on both sides for a few minutes. 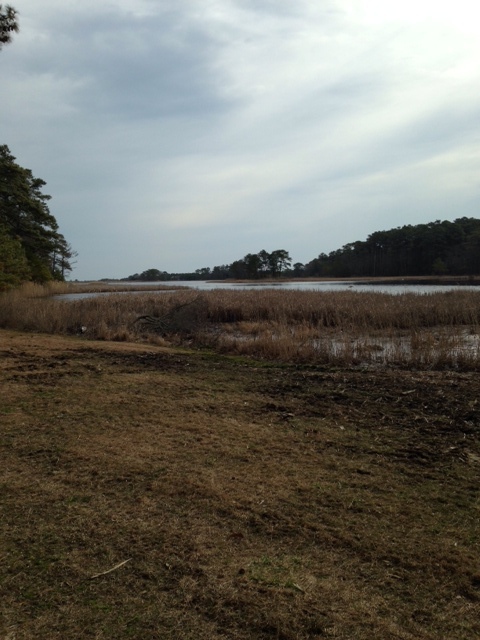 While on that narrow part of land I encountered more nature! As I was running I was looking down quite a bit to avoid tree roots and other debris and I saw a snake!! At the same time I saw the snake I felt my jacket sleeve that was tied around my waist hit my leg and I think that I jumped 6 feet into the air! I screamed and full out sprinted and by then my brother thought I was offically crazy! It was after that I decided we should probably stick to the main trail and avoid these little, narrow off the main path trails! The worst part was that I had to jump back over the Snake!! ahh it still creeps me out but he was kinda small and cute- I was just slightly dramatic! I would of taken a picture but I was just to chicken-sorry!! When I was later looking at my Polar Heart Rate watch summary of my run I knew exactly what point the “max heart rate” took place at— the snake encounter!!! Once we made it past the snake and back on the path we headed back towards our car and out to where Camp Barnes is located. Once we reached that point we turned around to again head back to the car and finish our run. When it was all said and done we were at exactly 5 miles and ready to call it a day. The Assawoman Wildlife Refuge ended up being the perfect little refuge from the wind and provided us with a very enjoyable 5 mile trail! That was the furthest my brother had ever run so it was also a big milestone for him!! 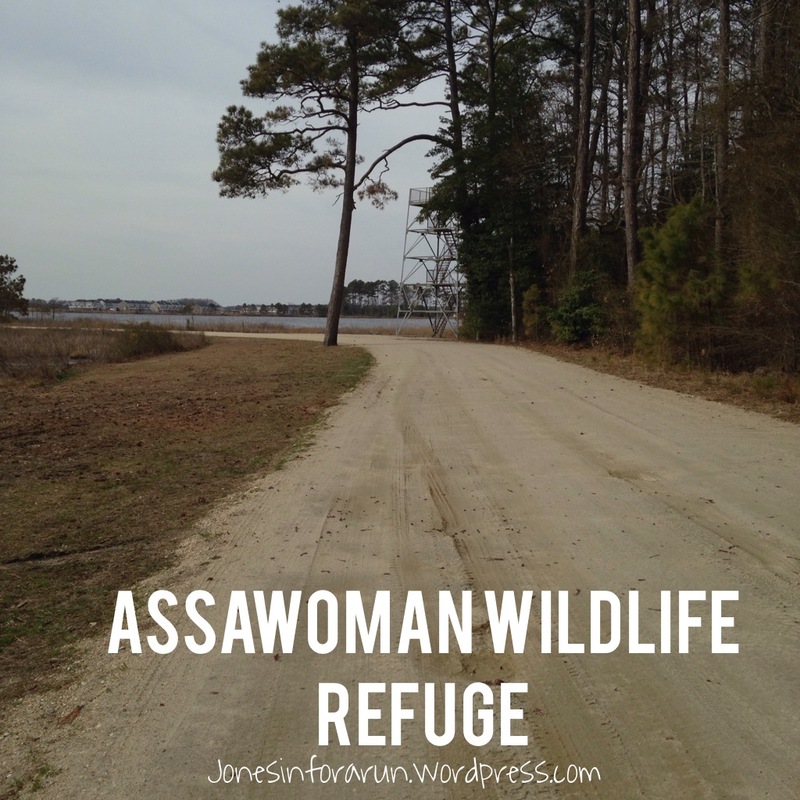 If you are ever in the area and are looking for a picnic spot, somewhere to go crabbing or maybe even a refuge from the wind like we were, I highly recommend checking out the Assawoman Wildlife Refuge! 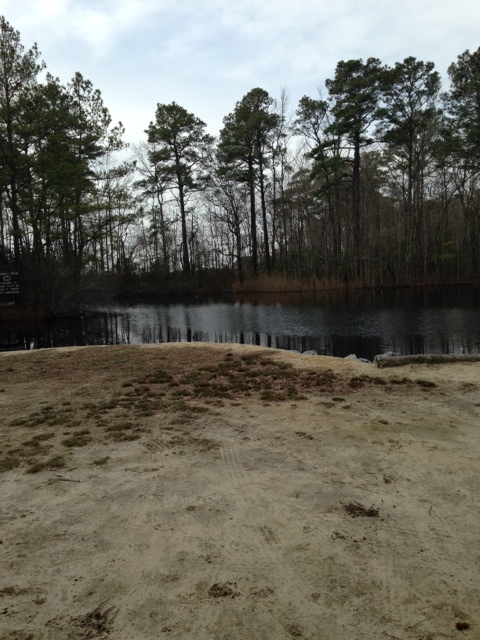 My pictures do not do the refuge justice, as it usually is full of more color and natural beauty! 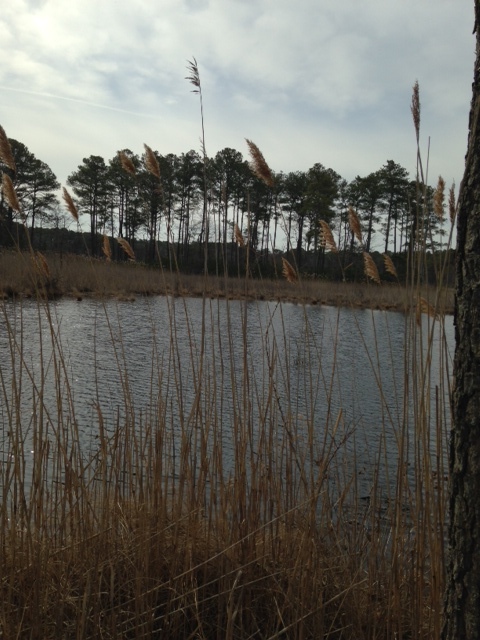 The Assawoman Wildlife Refuge is just another one of Delaware’s small, hidden gems.